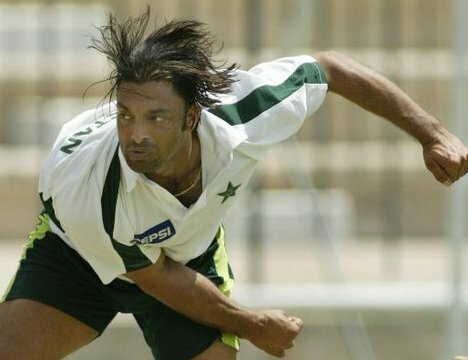 Controversial former fast bowler Shoaib Akhtar threw his hat into the ring on Friday to become Pakistan’s next bowling coach. Pakistan have been hunting for a bowling coach since appointing Australian Dav Whatmore as head coach in March, with former Essex paceman Ian Pont the leading contender. Pakistan Cricket Board (PCB) set up a three-man committee to find a suitable candidate but so far nothing has been finalised. The paceman, whose career was plagued by fitness and discipline problems, retired from cricket after the World Cup last year and has since been involved in business. He took 178 wickets in 46 Tests and 247 in 163 one-day internationals. “It’s an honour to serve the country and it can be done by helping the upcoming bowlers. It will give me a chance to pay back what the country has given me,” said Akhtar. Pakistan face Australia in a limited-overs series in the United Arab Emirates from August 28, with three one-day internationals and three Twenty20s. Akhtar said Pakistan will miss fast bowler Umar Gul, not selected for the ODIs. Lee, considered as quick as Akhtar, retired from international cricket last month. Ummm yeah maybe. At least he is loyal to the country and will give in his 110%. He does not have the temperament of a coach, nor is he mature, neither a good role model. @tashfeen which world do u live in? get ur facts right to start with . No way, he only had speed, no swing, no seam and no variety.